Welcome to Bowater Toyota. The region's leading vehicle sales destination. CLICK HERE TO TAKE A VIRTUAL TOUR OF OUR NELSON STORE. Take a minute to Watch the video to get to know us. 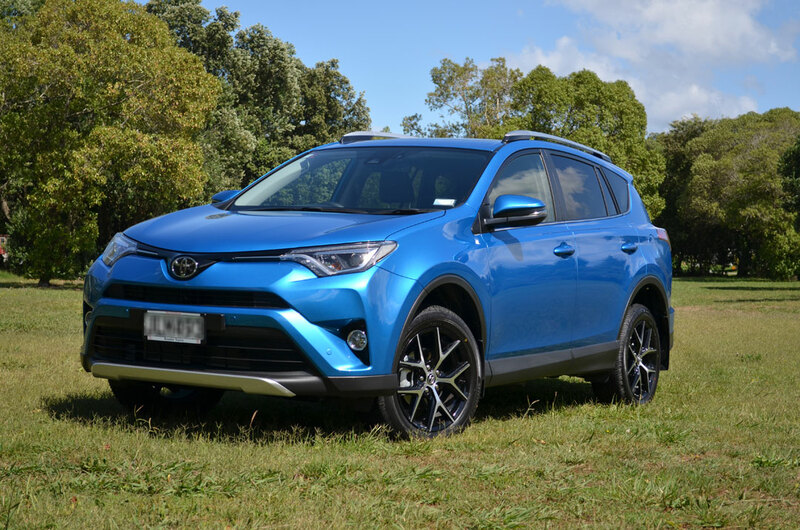 Welcome to Bowater Toyota, a friendly, family owned business that is proud to be supplying New Zealand's favourite make of cars. 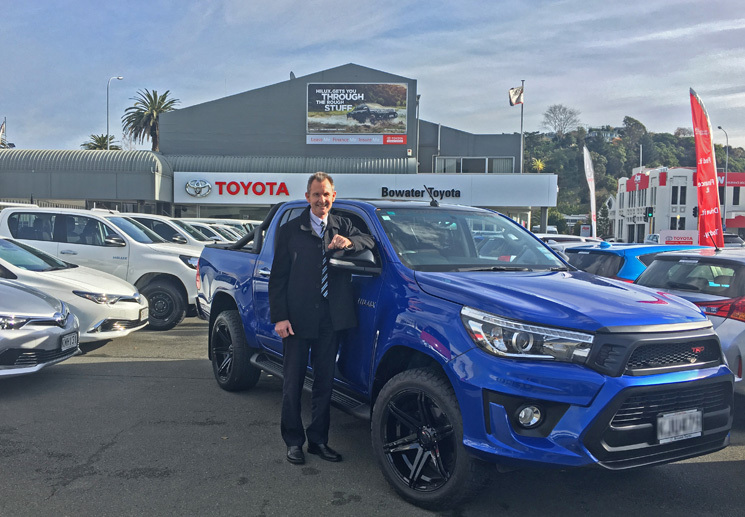 Bowater Toyota is part of the larger Bowater Motor Group, a family company helping Nelson and Tasman drive it's dream since 1945, and now into it's 4th generation. Take a minute to get to know us. Explore our New Vehicle Range. 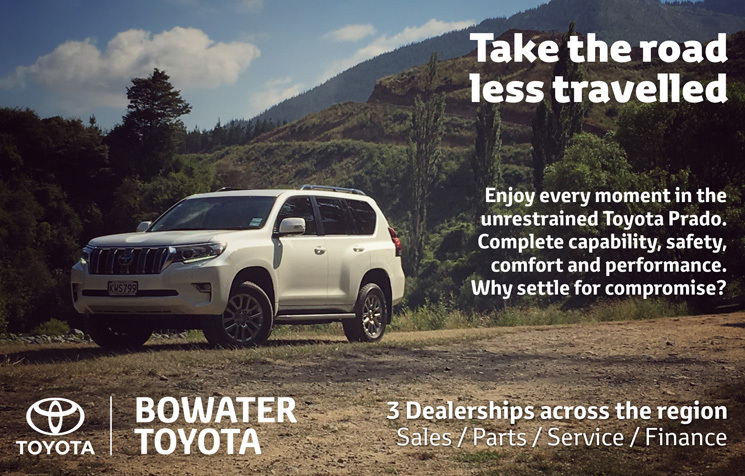 Welcome to Bowater Toyota, where New Zealand's most popular brand of vehicle (Toyota) joins the Bowater Motor Group (BMG) in the regions leading dealership. Bowater Toyota has now lead the field for years with consistant market leadership in new vehicle sales of commercial, passenger and overall. When it comes to building a relationship with the providers of one of your largest assets, whether you own your vehicle personally or for business use, it is shown time and time again that it pays to use the best - it is a reputation hard won for a reason! 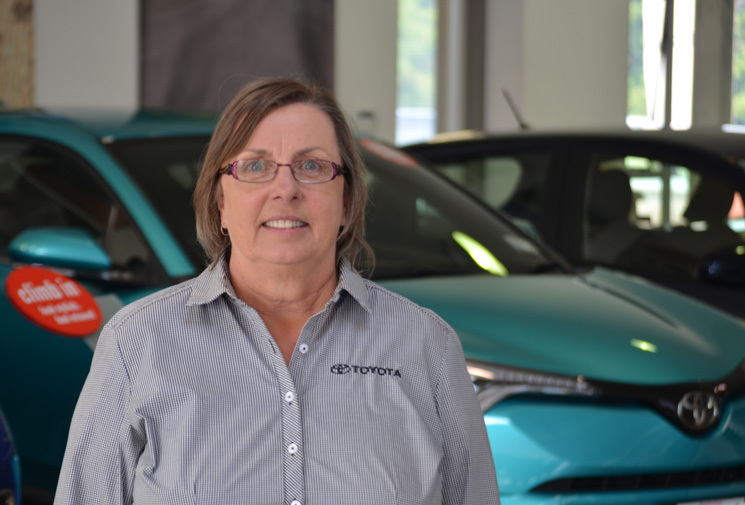 Bowater Toyota has full franchise branches in Nelson, Richmond and Motueka - which means all Customer Service centres offer a wide range of new and used vehicles, a comprehensive parts and service department as well as local, knowledgeable staff. We are proud to be supporting our community and also Toyota philosophies of strong customer focused service in all areas. We are a family owned company spanning four generations supporting the Nelson and Tasman region. 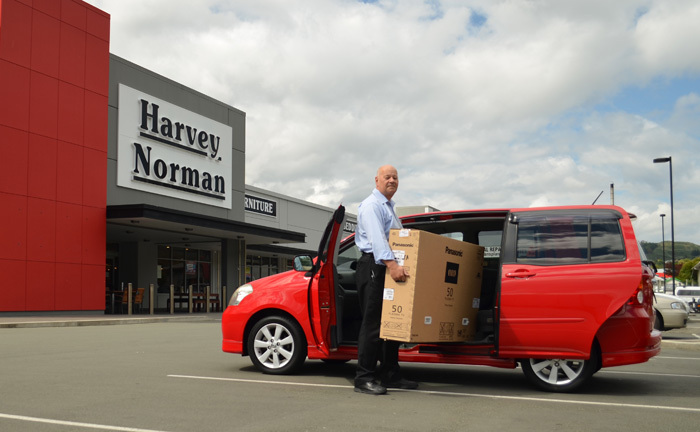 Located in Nelson, Richmond and Motueka, we offer full service, parts, sales (new and used) and finance in all branches reflecting the quality and value that has made Toyota such a respected brand. We believe in giving you "Family Values and Value for Families" without compromising your desire to "Drive your Dream". Whether you are just after a small part, service, used or new car, or the finance to help “Drive your Dream” we want to help you. We look forward to helping you at one of our Customer Centres today! How good is the new Toyota Hilux? Just ask Nathan. Nathan Fa'avae is a 4 time ARWS - Adventure Racing World Series World Champ. He trains hard and needs to get to the most extreme places to get the best practise in. To do this effectively he uses his Toyota Hilux. We caught up with him to hear his thoughts on the new generation Hilux. Nathan Fa'avae is a total legit World Champ. Let's quantify that. He is actually a 5 time Adventure Racing Series World Champion. He knows all about needing the best gear to help him endure extreme situations over extended periods of time. In short he knows what he needs to rely on and what will get him to where he needs to be. That is part of the reason why he chose a Toyota Hilux as his vehicle. Choosing Bowater Toyota is as much about our history as it is about our future. 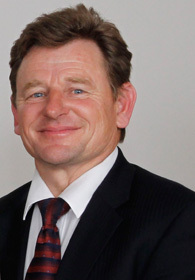 The purchase of the Toyota franchise in 1990 rationalised the Bowater Motor Group and also made us Nelson's largest vehicle company. We know that working within our community will make a difference, making a better tomorrow start today. We proudly support local organisations that are actively making a difference in our community. A simple truth is that Bowater Toyota has been selling the most new vehicles in the region for many years now. By quite a margin. The numbers from NZTA on actual new vehicle registrations for the region tell us the cold hard truth with no room for marketing spin, or tall tales of legends and lunchboxes. Toyota are clear market leaders, and the Toyota Hilux a clear local favourite, proving that trust, experience and reputation will always prevail. Thank you again to all of our loyal customers that have supported us to be on top again. Our team of friendly sales specialists is devoted to helping you find the most suitable vehicle for your needs, and our large range of accessory options and finance packages will help you customise your own ideal Toyota experience. You might also be surprised to learn that we service and repair ALL makes and models of vehicles - not just Toyota's. 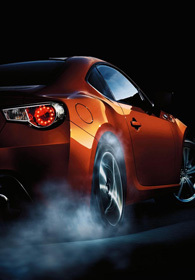 Your non-Toyota vehicle will get exactly the same exceptional service and treatment at a very competitive price. Read more about our service department by clicking here. Our new Workshop technology makes your motoring a whole lot safer for the cost of a couple of pizzas! We are always very excited when new technology comes along that can speed up the analysis of how your car performs on the road. We are committed to safer motoring and as such are committed to investing in new technology when it is available. 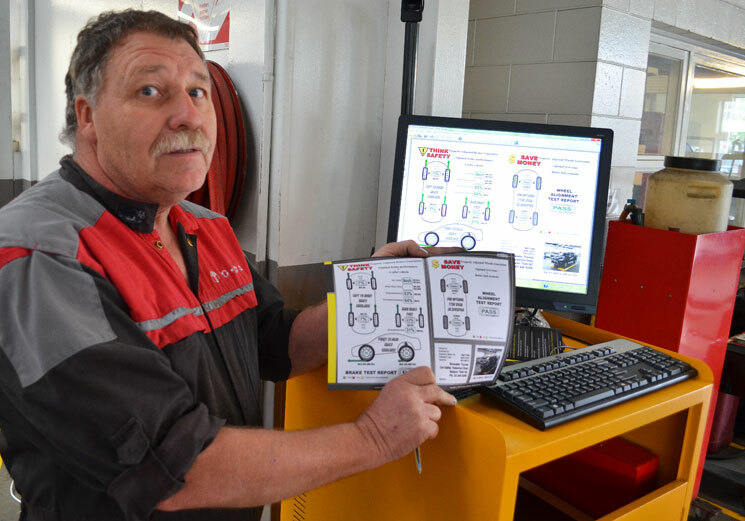 We have recently installed the Safe-T-Stop system in our Bowater Toyota workshop in central Nelson, which means quick and instant testing on braking systems and maximum tyre efficiency, all for the very low price of $24.95. The Safe T Stop test uses the latest in sensor technology and reports back to an analysis programme instantly, which then generates a printed report that you can keep for your records. Service Lite - a new service product to make it easier for older cars. vehicle is 100% roadworthy. And with our level of knowledge and expertise at your disposal, you simply can’t get a better job done for such a great price. To find out more about Service Lite click here, or on the menu to the right. There has never been better buying. Bowater Toyota has a comprehensive range of Toyota Signature Class, SBT and Toyota sourced cars on the yard, with new ones arriving every week. Some of these vehicles are a little different, like this Toyota Raum (pictured below), perfect for those looking for easy entry and exit, or a business vehicle with an edge and an air of individuality. Featuring a passenger side pillar-less entry with remote automatic sliding side door for easy access, and the ability to load larger cargo, like this 50 inch Plasma TV that just slides right in without having to drop or move the rear seats at all. The Toyota Raum, usually priced around the $12-13,000 mark is just one of many quality used vehicles we have on special right now. We have priced these very competitively with a great many of them sitting between the $10,000 - $15,000 price range. There are a lot of very convincing reasons behind buying a used vehicle from Bowater Toyota. You can rest easy knowing that you wont be buying a lemon. These cars come through our stringent quality control process before they get on the yard, and many are backed by Toyota's comprehensive Warranty System, from a 12 month Power Train Warranty through to the Toyota Signature Class three year, unlimited kilometre, Full Mechanical Warranty.